The Community College of Philadelphia and its faculty union reached a tentative labor deal Wednesday night, potentially averting a strike after weeks of mounting tension. Union membership still needs to ratify for the deal for it to become official. 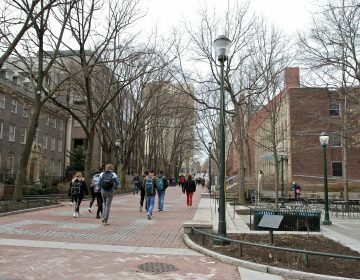 The Faculty and Staff Federation of Community College of Philadelphia, which represents about 1,200 professors and other employees, has been without a contract since 2016. The new deal would run three and a half years, said Jamie Zigarelli, a CCP English professor and union spokesperson. 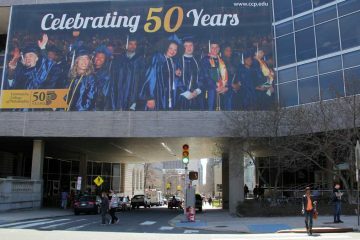 Faculty workloads and healthcare contributions were at the heart of the divide, which threatened to cripple one of the city’s largest colleges just as the spring semester wound down. Union membership approved a strike, but never walked off the job. Representatives from the union met with college officials Monday for last-ditch negotiations, which ended up lasting more than three days. In the end, Zigarelli said, the union received key concessions on the number of classes faculty will have to teach each semester. CCP has bout 28,000 students, about half of whom are enrolled full-time. When Pennsylvania established a community college system in 1963, the city and state were supposed to each provide about a third of the revenue, with student tuition making up the final third. Today, about 56 percent of CCP’s revenue comes from student tuition, about 24 percent comes from the state government, and about 19 percent comes from the city. The city share has increased slightly over the last ten years, though that has been offset by a similar decline in state share. The college has an operating budget of $132.1 million. The trouble at CCP reflects larger education funding issues that go beyond Philadelphia and the community-college sector, said William Herbert, executive director of the National Center for Collective Bargaining in Higher Education and the Professions at Hunter College. Herbert’s center identified 11 higher-ed strikes in 2018, up from five in 2017. Those work stoppages share common elements with teacher strikes in Los Angeles, Denver, West Virginia, Oklahoma, and elsewhere, he said. They all trace back the “dwindling resources” committed to public education, Herbert said. “That creates tensions at the bargaining table,” he explained. Community colleges typically spend less per student than other public institutions of higher learning, even when accounting for the fact that many four-year schools dedicate money to research. 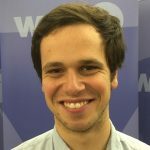 And that gap is growing, said Richard Kahlenberg, a fellow at The Century Foundation, a progressive think tank. “Community colleges are educating students who tend to have the greatest needs and who most researchers believes should have more spent on them rather than less,” Kahlenberg said. He believes that dynamic is a direct result community colleges serving proportionally more low-income students than four-year schools. “So as long as these institutions are seen as places where ‘other people’s’ kids end up, they are not going to have the same level of funding as institutions that educate middle- and upper-middle-class students,” Kahlenberg said. Kahlenberg co-authored a recent report on community college funding, citing a study that showed student tuition makes up an ever-larger amount of community college revenue. Pennsylvania stands out in that regard. Across the state, the combined revenue from tuition is roughly double the amount provided by Harrisburg. Only four states rely even more on tuition. There are legitimate questions, however, about the effectiveness of community colleges. Students who start at two-year schools earn bachelor’s degrees at lower rates than those who attend four-year schools, even when controlling for the community college students who never planned to pursue a four-year degree. The partnership means a seamless transfer for the Philadelphia college students to the Camden university as they pursue their bachelor's degrees. 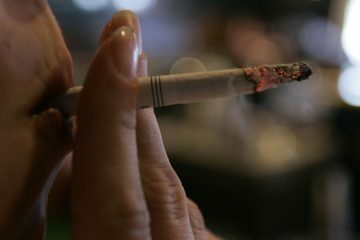 Fewer than half of the 102 historically black colleges and universities have comprehensive smoke-free or tobacco-free policies.